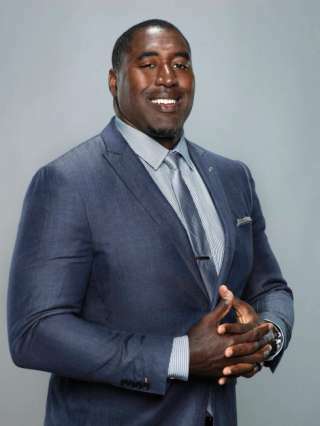 In 1997, Trevor Pryce was selected by the Denver Broncos in the first round of the NFL Draft. He made his presence known through his NFL career with numerous tackles and sacks, and ultimately, was on back-to-back winning Super Bowl teams. After retiring, Trevor Pryce decided to tackle a different opportunity. 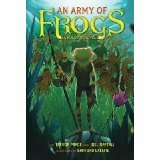 In his interview with Purpose to Play, he states that after retirement, he tried to write movie scores, but ended up creating a trilogy of children’s books, the first being An Army of Frogs, an adventure where frogs and turtles defend their homeland against spiders and scorpions set in the Australia. 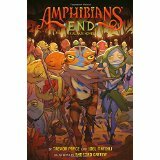 Since An Army of the Frogs released in 2014, Trevor Pryce has penned two more books in the series: Amphibian’s End, and The Rainbow Serpent, both debuting last year in October. 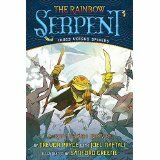 Thank you, Trevor Pryce, for your contribution to children’s literature! Those books look really fun! I love that someone with a stereotypical “jock” job defies expectation to change fields and engage kids. Mr. Trevor Pryce, THANKS for your creations!!! What a journey you have had. CONGRATULATIONS!! !